I have had this blog for years. But recently I've decided to try my hand at blogging! Why? Because I never shut up and I'm the person everyone turns to to find out about the newest trends. And I'm the one who will find them at a deal! Plus I'm the social media diva. I've ran so many different sites like Twitter, Instagram and Tumblr for others. May as well try my hand at it myself. For the last week if you are on my Facebook, Twitter, or Instagram you have seen my posts. 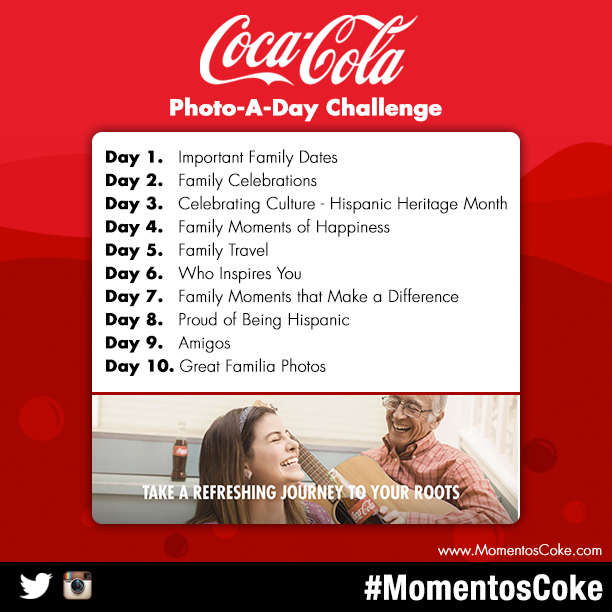 I am taking part in a photo challenge called #MomentosCoke it's in honor of #HispanicHeritage month. So what's the excitement about? Prizes of course!!! Sign up at www.momentosCoke.com You could win great prizes like Delta Airlines travel vouchers, so you can visit family. They are also giving away calling cards, to call home. Good luck to everyone entering.